Disease outbreaks continue to occur in Mali and the ongoing security crisis highlights the importance of a comprehensive national framework for health security. Recognizing the need for cooperation and collective action, Mali has adopted a multi-sectoral and multi-stakeholder approach for managing biological risks. Over the past several years, the government of Mali has partnered with the Mali Association for Biosafety & Biosecurity (MABB), a non-governmental organization of biosafety professionals from across the Malian health, agricultural and security sectors, in the creation of Mali’s National Biosafety & Biosecurity Working Group. 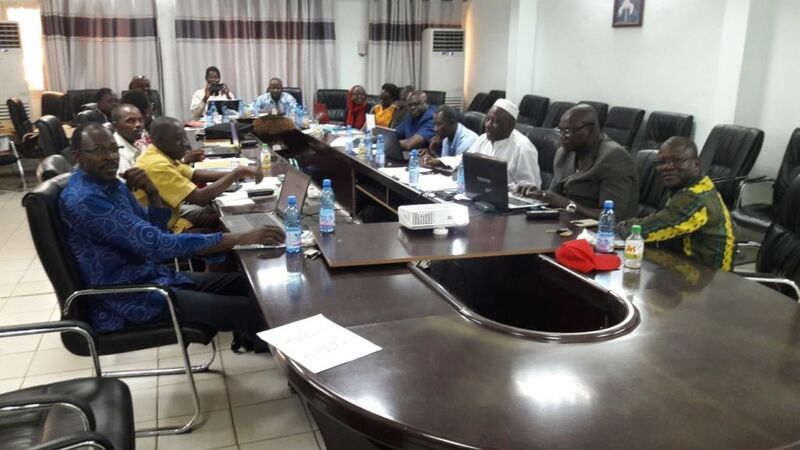 Bringing together representatives from governments and non-governmental organizations, the National Working Group is implementing a series of activities to strengthen Mali’s health security systems. External organizations providing support and guidance include Global Affairs Canada, the Public Health Agency of Canada, the International Federation of Biosafety Associations (IFBA) and the Verification Research, Training and Information Centre (VERTIC). Mali’s multi-sectoral and multi-stakeholder approach has received endorsement from the Ministry of Health who congratulated the MABB and National Working Group on the achievements to date and confirmed their support for the next phase of developing biosafety legislation, creating a new national agency for authority for biorisk management in Mali, and drafting a new national biorisk management standard. His Excellency, Dr. Salif Samaké, Secrétaire Général, Ministry of Health and Public Hygiene, has attended several meetings of the National Working Group and stated that “no effort would be spared” in addressing this important issue. The IFBA, a member of the Alliance for Health Security Cooperation, is pleased to partner with MABB in the delivery of Mali’s new national biosafety and biosecurity strategy. “By working together, Mali’s strategy will lead to more effective and comprehensive oversight of biological risks in the country”.